Your mom will love opening any of these small treasures, which all retail for under $300! Diamonds may be a girl’s best friend, but jewelry is a mom’s best friend especially on Mother’s Day. 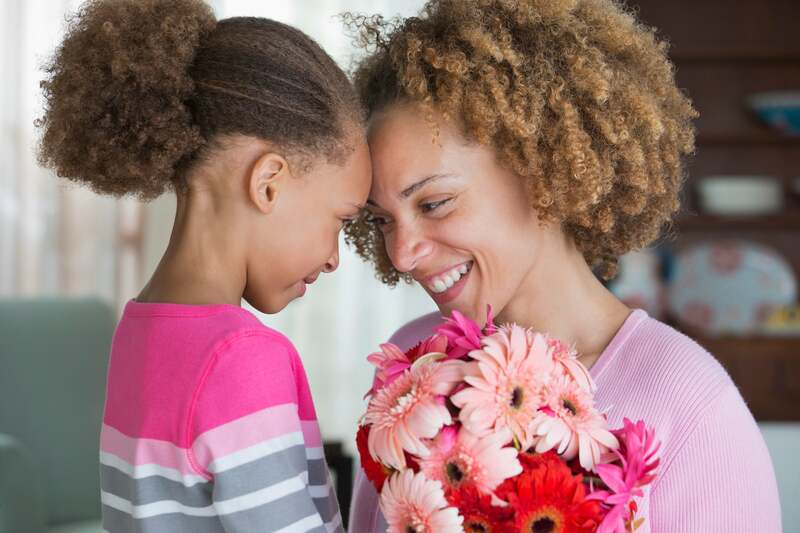 From sterling silver to 14K gold plated options and necklaces to bracelets, we found some of the most beautiful jewelry pieces to honor your mother and show your appreciation. Nothing says “I love you” like a Tiffany Blue Box. 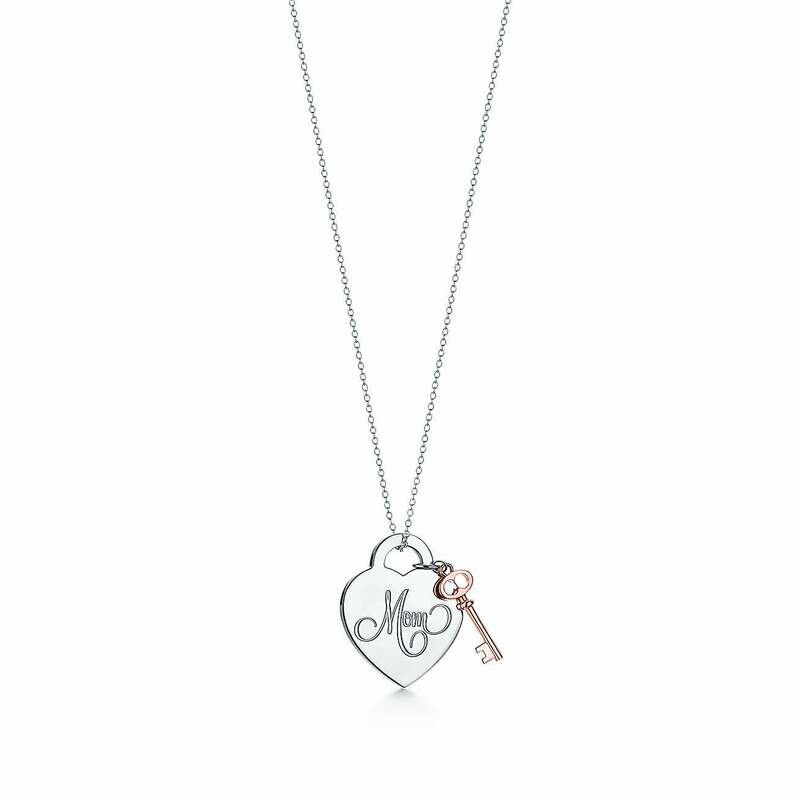 She’ll adore the mom heart tag with a Rubedo metal key from Tiffany & Co.
available at Tiffany & Co. $275 Shop! 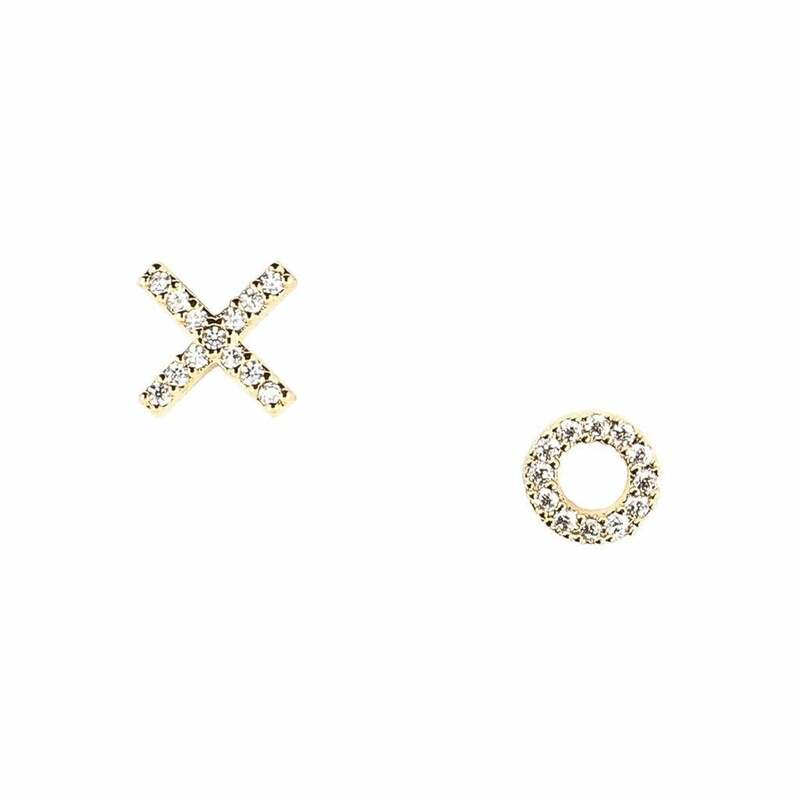 Give mom a hug and kiss with these sassy 14K gold plated X and O studs with cubic zirconia crystals from Maison Miru. available at Maison Miru	$49 Shop! 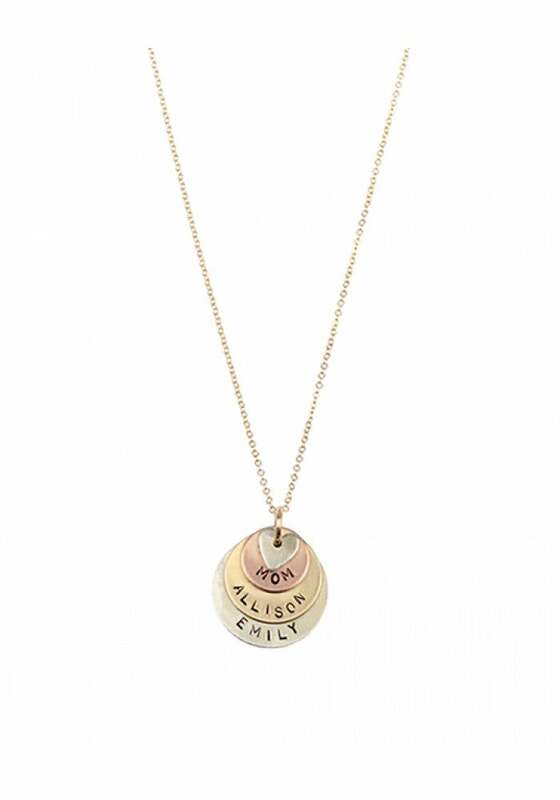 Personalize this stylish layered necklace from Stella & Dot with your mom’s name or initials. available at Stella Dot	$129 Shop! 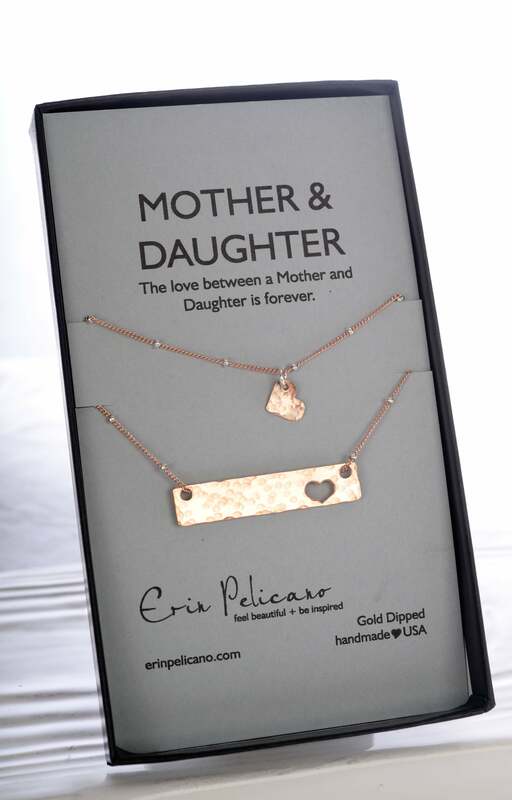 Show your mom she’ll always have your heart with this mother & daughter set from Erin Pelicano. Available in silver, rose gold or yellow gold dipped, your mom will wear the handmade bar necklace, and you’ll wear the heart. available at Erin Pelicano	$100-$225 Shop! 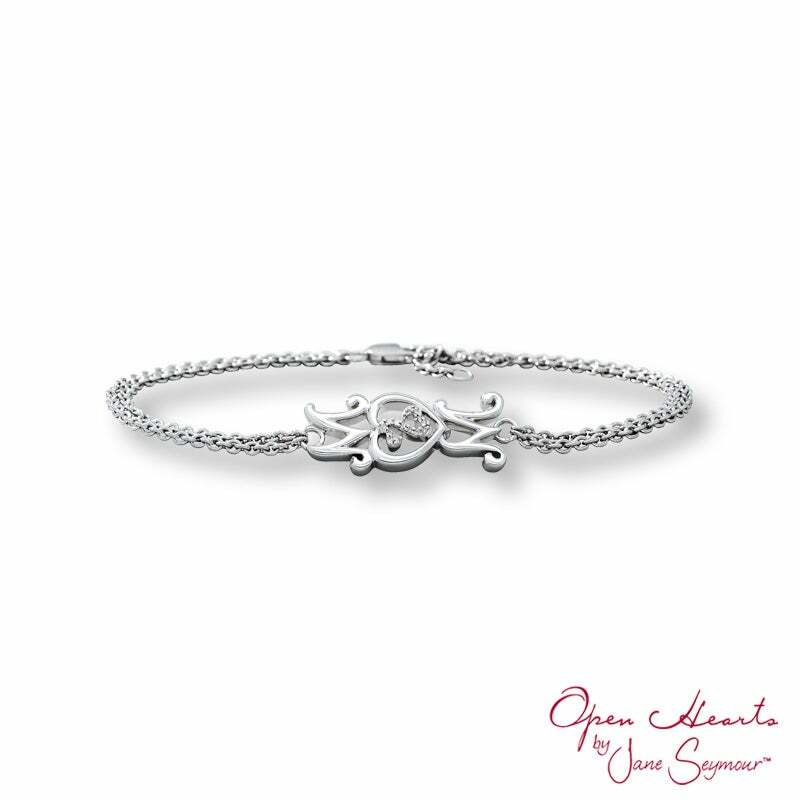 available at Pandora	$80 Shop! 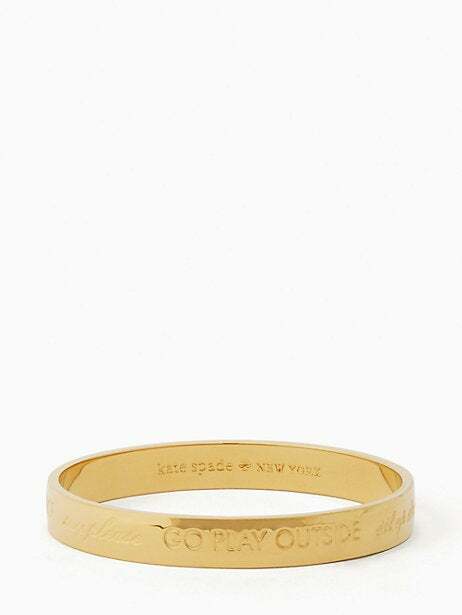 We love this 12K gold plated engraved bangle from Kate Spade to remind mom she always knows best. 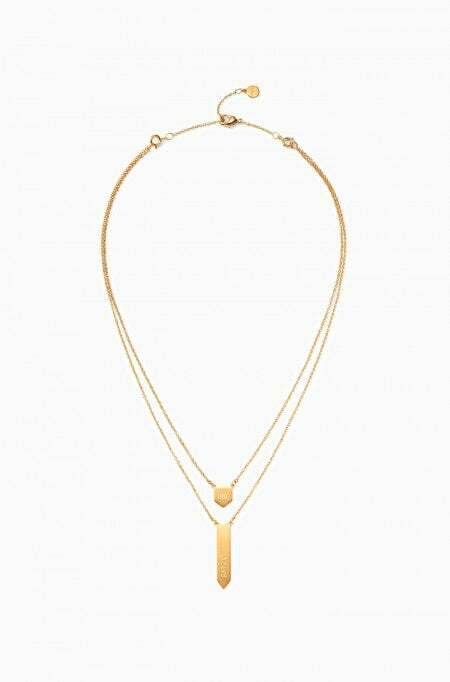 available at Kate Spade	$58 Shop! 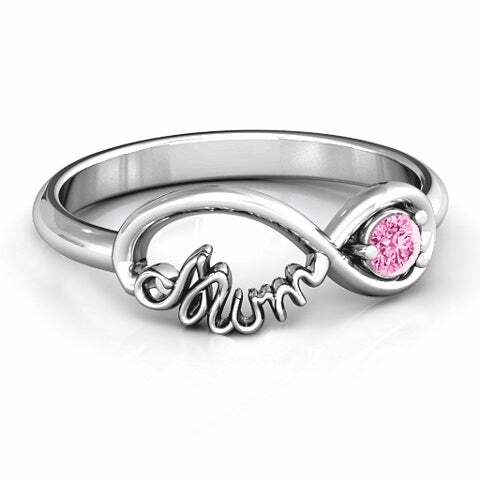 Show your lifelong bond by giving your mom this ring with her birthstone. 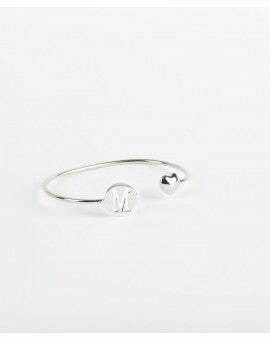 You can choose the metal (sterling silver, white gold, yellow gold or rose gold) and can also engrave with a sweet message to your mother. available at Jewlr	$79 Shop! available at Tiny Tags	$95 Shop! 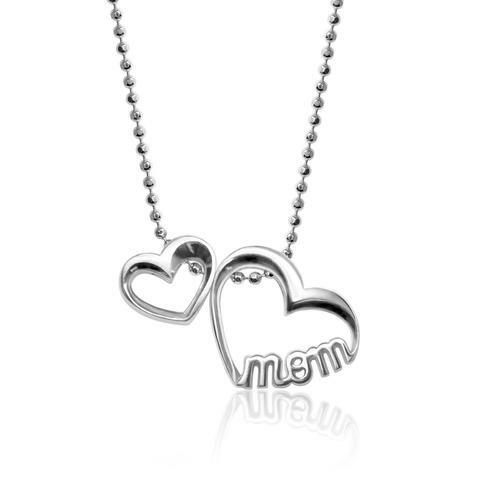 This sterling silver necklace from Alex Woo incorporates two hearts and the word “mom” to symbolize the unconditional love of your mom. available at Alex Woo $158 Shop! 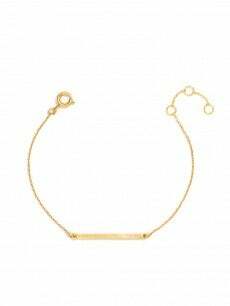 This gold plated bracelet from Daniel Espinosa with her initial and a heart proves she’s admired on Mother’s Day and everyday. available at Daniele Espinosa	$75 Shop! available at Bauble Bar	$58 Shop! available at Zales	$179 Shop! 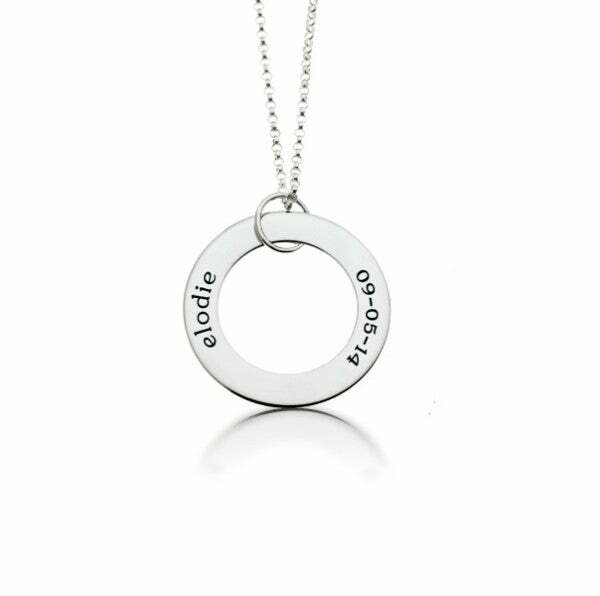 Choose from three, four or five discs for this adorable layered necklace from Nashelle to honor mom and her kids, or grandma and her grandchildren. available at Nashelle	$95 Shop! 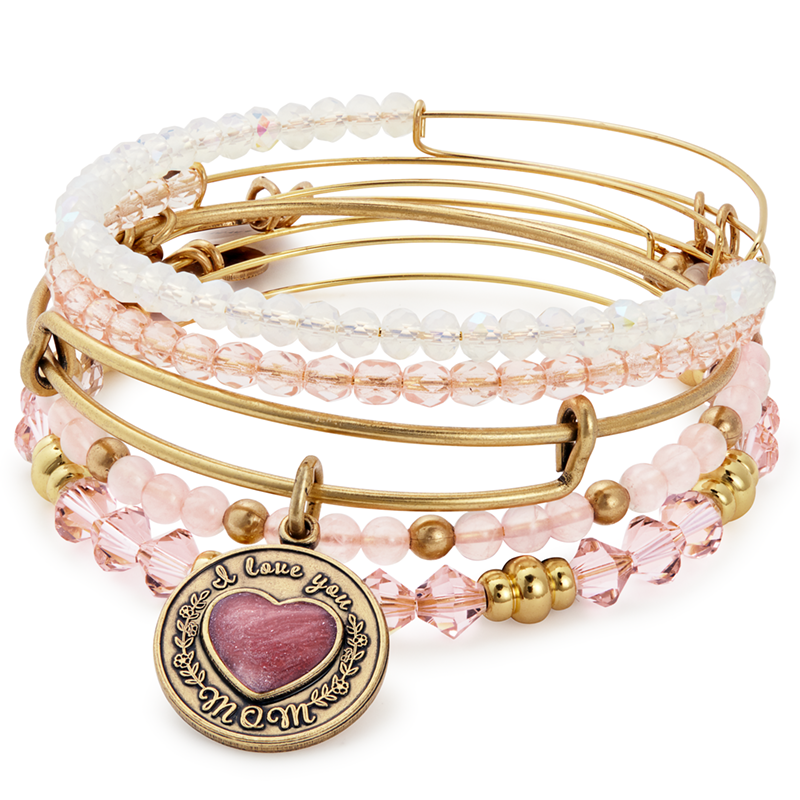 Alex and Ani are known for their signature charm bangles, and this “I Love You Mom” set is a lovely Mother’s Day present for your mom. 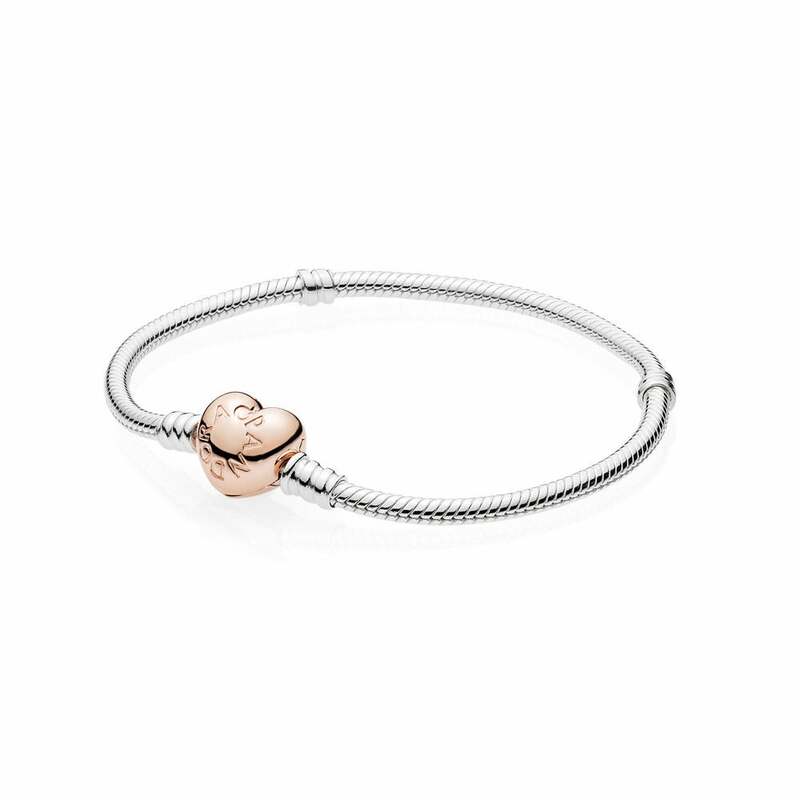 available at Alex and Ani	$128 Shop! 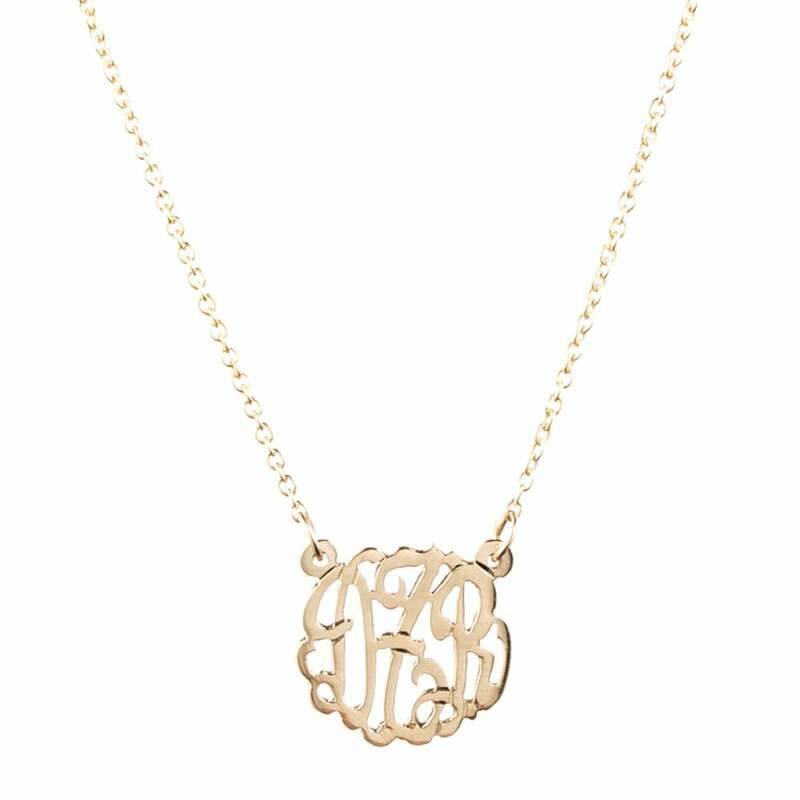 Give your mom a monogrammed necklace with her initials to show much you appreciate her.